The photos look just like the most famous FSA images of Depression-era America. Laborers with weathered faces stare into the distance, sharecropping families stand on splintered porches and rag-clad children play in the dust. But each picture is haunted by a strange black void. 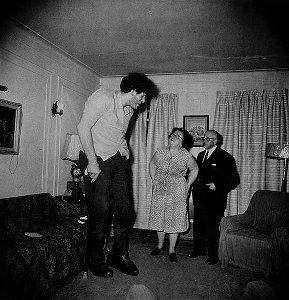 It hangs in the sky like an inverted sun, it eclipses a child’s face, it hovers menacingly in the corner of a room. The black hole is the handiwork of Roy Stryker, the director of the FSA’s documentary photography program. He was responsible for hiring photographers such as Dorothea Lange, Walker Evans, Arthur Rothstein and Gordon Parks and dispatching them across the country to document the struggles of the rural poor. Stryker was a highly educated economist and provided his photographers with extensive research and information to prepare them for each assignment. He was determined to get the best work possible out of his employees — which also made him a bit of a tyrannical editor. 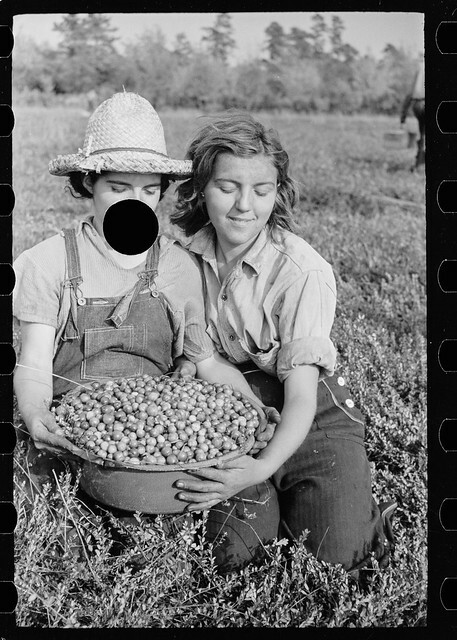 More of this sad story– and more punched photos– at “1930s ‘Killed’ photographs.” More on Stryker here. 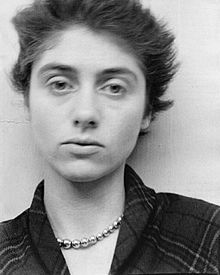 As we fill in the blanks, we might recall that it was on this date in 1941 that Diane Nemerov, the privileged daughter of department store owners, married Allan Arbus, a penniless City College student, in New York. Allan went to work in his in-laws’ store, but supplemented his income doing fashion photography– with Diane as his assistant, and later full partner. 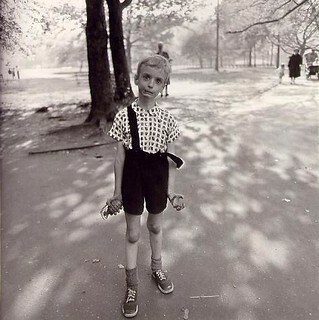 But after the birth of her second child, Diane found herself drawn to less traditional and more candid subjects– children at first; later “the forbidden.” While Allan continued to run the fashion studio, Diane became noted for photographs of marginalized people—dwarfs, giants, transgender people, nudists, circus performers—anyone whose “normality” was denied by the general public.